SOUTHINGTON - A Bristol man was found with a handgun when he was pulled over in Southington over the weekend. 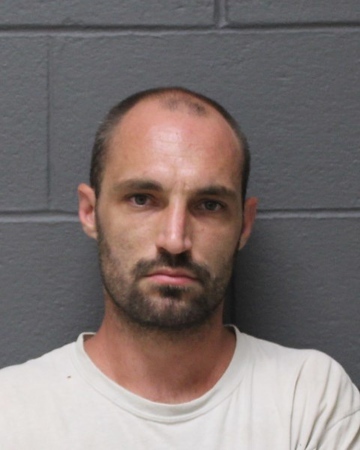 Jason Pinette, 29, had a .40 caliber, semiautomatic pistol and a magazine containing 10 bullets in his vehicle when he was stopped for speeding on Saturday, police said Tuesday. He did not have a pistol permit. When Pinette was pulled over, according to police, the officer saw the type of scale that is commonly used to weigh drugs. Upon being questioned, he turned over a “small marijuana cigarette” to the officer, police said. A K9 and his handler later arrived as backup, and the dog indicated to police that there were drugs in the vehicle. A search turned up the gun and ammunition. No other drugs were found. Pinette faces charges of carrying a pistol without a permit, criminal possession of a handgun, illegal possession of a weapon in a motor vehicle, possession of less than a half ounce of cannabis, possession of drug paraphernalia and speeding. Pinette is free on $10,000 bond. He is scheduled to appear in Bristol Superior Court on Aug. 13. Posted in New Britain Herald, Southington Herald on Tuesday, 7 August 2018 15:26. Updated: Tuesday, 7 August 2018 15:29.